What is SPT? - Don't Sweat the Swim! 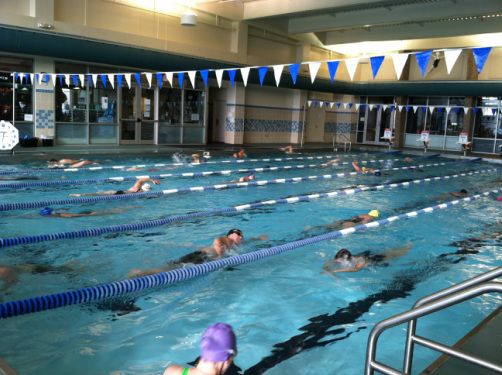 Learn to train your swim like a SWIMMER... for superior performance as a TRIATHLETE! IT'S NOT MASTERS, IT'S SWIM PERFORMANCE TRAINING! What IS Swim Performance Training (SPT)? GROUP SPT & one on one sessions are designed for the multi-sport athlete who is intrinsically motivated to excel in life as well as in the sport of triathlon. Athletes will improve their stroke efficiency, comfort levels in competition, their overall personal confidence and hopefully mental toughness! GROUP SPT & one on one sessions are not learn to swim programs where I am in the water with my clients. However, going back to basics, such as perfecting breathing technique at the side of the pool in the shallow end is often the first step! Swim Performance Training is also a great focus for high school athletes or fitness swimmers wanting to improve their stroke or competitiveness. Marathon swimming is becoming more and more popular and I can help with that too! ARE YOU A ROOKIE/NOVICE OR ADVANCED TRI-SWIMMER? The purpose of defining your "current ability" is for placement purposes into the groups. These are loose descriptions so CONTACT ME if you are not sure. If you are unable to make the day and time assigned for your level. I may be able to mix the groups. Also, PLEASE NOTE there is a max of 9 per group and a minimum of 5/6. If need be, and depending on experience and ability, groups may be combined. (That's the disclaimer portion...) DON'T HESITATE, THESE FILL UP! Or, you are a triathlete who has been coached in private sessions and are ready for the next step in your swim training; You are a triathlete with a couple years experience but who needs to improve speed and endurance. A triathlete with either moderate to strong swim background and has some triathlon experience. Or, a VETERAN triathlete/swimmer who has been coached by me in groups and who is ready to make the jump to long distance tri's, more conditioning & take swim training to the next level.